There is something about mountain running that makes it what it is. We put ourselves through pain just to be able to compete but we love every painful, beautiful, incredible step of the way. The Turaco Trail is Zimbabwe’s most beautiful and challenging hiking trail. It was opened in 2012 after 3 years of construction. The construction was done with the environment in mind every step of the way. Not a single tree was cut down in the making of this trail. It takes hikers on a journey through a vast mountain wilderness of wild rivers and waterfalls, forests, montane grasslands, valleys, gorges and mountain peaks. Once a year this trail is opened up for SkyRun Zimbabwe. What an incredible day it is. Start your race day bright and early with a hearty breakfast at 4:00 am. Make sure you have all of your compulsory kit as it will be checked before you start. The run starts at 4:45 am after you are given your Sportraxs tracker. A short race briefing and you are off, along the escarpment as the sun rises. Start making your way down to the first valley and then your first mountain (the fun starts). Reach the top turn left and summit Chikorokoto. Start heading down again into the beautiful pungwe gorge. Reach the bottom and start heading down stream through the forests until you reach the confluence where you will be checked before you cross the mighty Pungwe. The hardest climb faces you (just over 700 metres of height gain in a distance of 3,5km) as you make your way out of the gorge. Just when you think you are almost at golden pools there are a couple more ups and downs as you contour and eventually get to the stunning Nyazengu ridge. This section from the Pungwe crossing to Golden Pools is just over 8km in total but it is a gruelling 8km. At Golden pools you will find a large nutrition station and lots of supporters. You will be checked before you begin the next stage. Cut off time here is 11:30 am. If you don’t make it you will be asked to come off the trail. 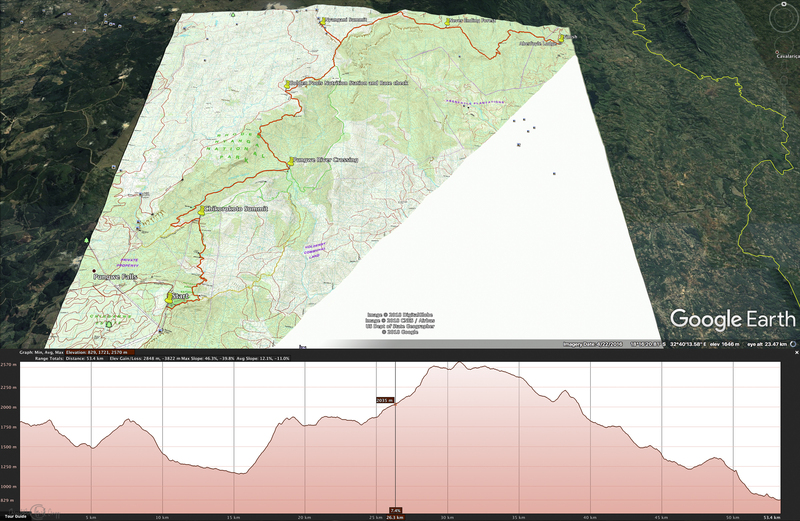 Next half starts, first a small downhill past Golden Pools (beautiful streams and pools) and then start heading up to the base of the Mount Nyangani. Look up, take a deep breath and start the climb. From the base to the summit is a distance of 7 km with a height gain of 800 metres. 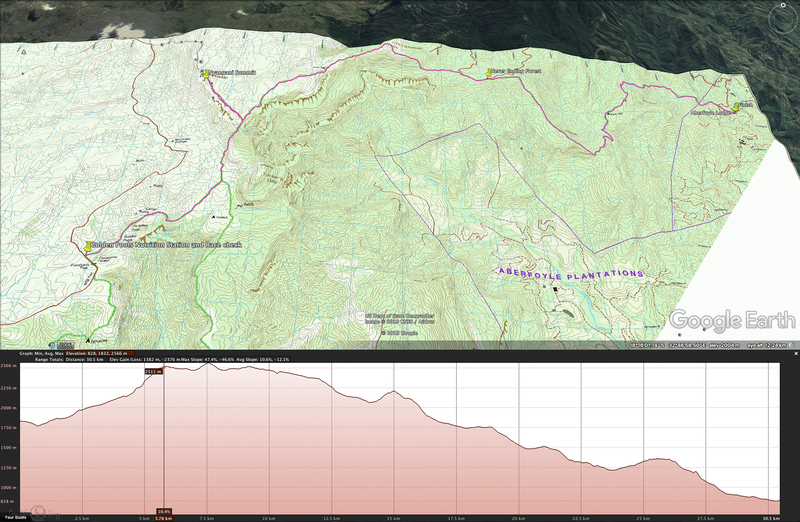 Summit Nyangani and then run along the top for 5km to Little Nyangani (there is a slight decent along this section). Once you reach the top of Little Nyangani you begin your decent through the never ending forest. Eventually and we mean eventually you come out into the grassland and keep winding your way down over a few rivers past a few waterfalls and into the spice garden. Follow the last river down and eventually out onto Aberfoyle golf course. The last 200 metres will feel like the longest part of this race but buy is it worth the beating drums and cold beer with your family and friends at the end. Those that are doing the Lite will start their race at Golden Pools and will pretty quickly face the challenge of Mt Nyangani. Look up, take a deep breath and start the climb. From the base to the summit is a distance of 7 km with a height gain of 800 metres. Summit Nyangani and then run along the top for 5km to Little Nyangani (there is a slight decent along this section). Once you reach the top of Little Nyangani you begin your decent through the never ending forest. Eventually and we mean eventually you come out into the grassland and keep winding your way down over a few rivers past a few waterfalls and into the spice garden. Follow the last river down and eventually out onto Aberfoyle golf course. The last 200 metres will feel like the longest part of this race but i is worth the beating drums and cold beer with your family and friends at the end. We look forward to welcoming you to this years SkyRun Zimbabwe.